Team Diabetes provides a comprehensive high level diabetes service and works closely with families, school staff and other professionals to strive to attain the best outcomes for all our patients and their families. We have the advantage of a general paediatrics background including grief and trauma, behavioural and developmental paediatrics, family therapy, school problems, adolescent medicine, and co-existent paediatric conditions including thyroid disorders, coeliac disease and common childhood conditions. Hence we feel our service can offer more than simple diabetes endocrine assessment and follow up. We work closely with other health professionals and believe very strongly in skilled multidisciplinary team care. If our patients very occasionally require hospital admission, we will assist management as necessary at the consent of the treating doctor and patient. Our aim is to provide proactive personalised team care to assist families manage Type 1 Diabetes – an unexpected, unwanted and currently an incurable autoimmune disease. We understand the immense and relentless burden that families must deal with on a daily basis to maintain very good control and our mantra is to support and not judge. We offer strategies to deal with some of the issues of powerlessness, anger, frustration and grief that accompany the diagnosis of Type 1 Diabetes in children adolescents and young adults. We pride ourselves in keeping abreast of world’s best practice including management strategies and technological progress. We believe in active contemporaneous insulin adjustment with a heavy reliance on teamwork through telemedicine including phone calls, SMS and videoconference. Our team are committed to quality not quantity management. Because of our commitment to over 100 familes with diabetes, we have currently reached capacity in our Gippsland, Melbourne and Geelong services. Hence we cannot currently take new referrals until some children and young adults are transferred from our service. In addition, for our team to accept a new referral that might be a transfer from another diabetes team, we give deep consideration to not further burden the family with a situation (geographical issues or associated medical or family issues) in which we cannot do our very best for the child and family. For those seeking our team’s input, we expect an ongoing long term bilateral commitment from the family. We have expectation that both parents will communicate with our team, be diligent and supportive of each other with diabetes care and hopefully attend appointments together with their child. We expect that we will be contacted early and rapidly by phone or SMS if there are any significant diabetes problems and we offer a 24 hour, 7 days a week service in emergencies. While our team continues management of our paediatric patients into young adulthood (generally 25 to 30 years) we generally do not accept new referrals of patients over 18 years. For your first appointment please bring whatever past medical records you have and a summary from the child’s previous medical specialist. We are a family oriented practice and pride ourselves on leaving patients and parents with a clear safe pathway for the future with diabetes, including clear goals, strategies and communication plan. There is clear, irrefutable evidence that insulin pumps can provide overall better quality of life, better glycaemic control, greater flexibility in lifestyle and less hypoglycaemia than injection regimens, particularly the old fashioned twice daily regimen. Insulin pumps are the treatment of choice for most children under 7 years of age with Type 1 diabetes. Hence we have over 80% of our patients managed with insulin pump therapy. We are very familiar with and use Animas, Medtronic and Roche pumps. Our team will assess, educate and commence insulin pump therapy in candidates who wish to trial the delivery device and we feel will use the technology safely. Those families must commit to our team and management philosophy long term – we do not offer a short term “pump start then transfer” service. ISPAD guidelines encourage the use of Continuous Glucose Monitors. Our diabetes team is experienced with both Dexcom and Medtronic continuous glucose monitors as well as Nightscout. We use this technology frequently and find it invaluable as an educational tool for effects of different foods, exercise, emotion and even alcohol on blood glucose levels. These devices and sensors may be purchased by families. For some families struggling to find funds for the purchase of sensors, application may be made for sensors to charitable foundations such as the Type 1 Foundation and the Kate Buntine Children’s Trust. 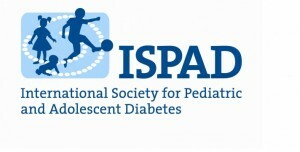 We are strongly supportive of the Australian Paediatric Society position statement on care of children with diabetes in schools. We see school life as an integral part of the child’s life and hence skilled management of diabetes in school by the child’ school team is mandatory. Optimal diabetes care for children or adolescents with diabetes in schools is to provide appropriate support, including safe administration of insulin at school, to achieve the best possible diabetes control so to prevent any present or future risks of harm to their health and wellbeing. This will give the child/adolescent the best opportunity to concentrate, participate and learn whilst at school. The child with Type 1 Diabetes should be managed so they have the same educational and social opportunities as children without diabetes. The child has the right to participate equally in all school activities, including outdoor activities and sponsored events away from school and to receive adult support for diabetes care during school hours. Our team has significant experience with out of hospital stabilization (OHS) of patients with newly diagnosed diabetes who met the appropriate criteria over the past 7 years in Gippsland. In 2015 we managed 3 such patients all of whom did not spend a single day in hospital and were all commenced on insulin pump therapy within 2 weeks of diagnosis. In 2016 we will introduce out of hospital stabilization at St John of God Geelong. The patients must meet the criteria for OHS and our team must have the resources available at the time of diagnosis. This is an exciting and innovative initiative that we will continue to pursue in the future. Our diabetes team has a special interest in diagnosis and management of Cystic Fibrosis (CF) related impaired Glucose Tolerance and CF related diabetes.